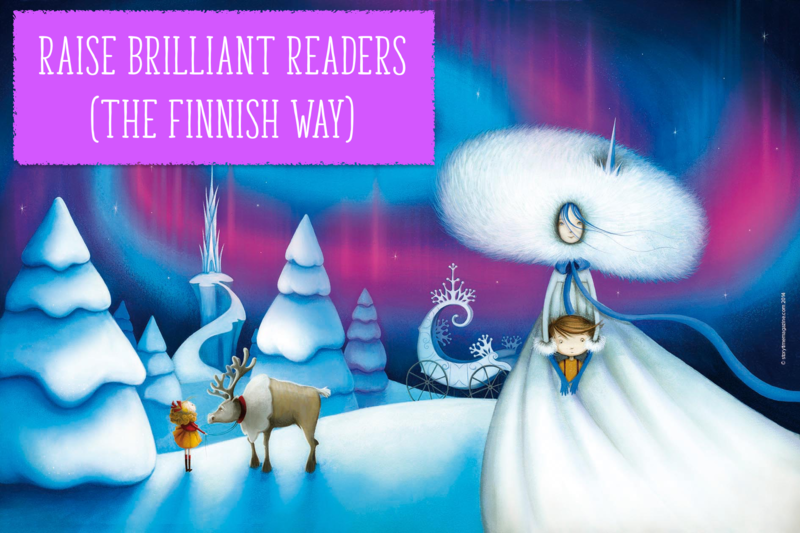 Did you know that Finland is the world‚Äôs most literate nation, followed by Norway, Denmark, Iceland and then Sweden? In a recent US study ranking national literacy, the UK came a surprising 17th. It‚Äôs not disastrous, but we could be doing more to improve literacy. So what makes the residents of Nordic countries so literate? Are they really more committed to reading than the UK? One look at our Storytime Twitter timeline tells me it can‚Äôt be true ‚Äì¬†it‚Äôs bursting with book-loving librarians and bloggers, passionate educators, inspiring illustrators and authors, and literacy devotees. However, John Miller, who led the study, claims that Nordic culture truly ‚Äúvalues reading‚Äù. What lessons can we learn from our Nordic neighbours? How can we improve literacy for kids in the UK and rise through the ranks? Scandinavian countries love their libraries, but it‚Äôs the Estonians who top the library league. They have more academic, public and school libraries than any other country ‚Äì and more books crammed onto their shelves. The UK comes 29th out of just over 60 nations ‚Äì¬†yet we‚Äôre closing libraries down! What can you do? Join the campaign to save our libraries and, if your local library is under threat, stand up and be heard. Without access to thousands of free books for all, it will be a battle to improve literacy. So¬†join your local library today! The people of Finland and Norway are avid newspaper readers, whether in print or online. We‚Äôve said it before and we‚Äôll say it again: all reading is good reading, especially for kids. Of course, you may not want your child to read about some of the grim realities of life, but they‚Äôll appreciate sharing the funnies with you. Why not rip out short columns you find interesting and read them together? There are also many brilliant non-fiction books for kids out there, so mix up your reading to make things more interesting and improve literacy by stealth. We fixate on reading for pleasure, but in Finland, the watchword in preschool education is ‚Äòjoy‚Äô. Not just joy in reading, but joy in everyday play. In fact, the Finnish Education Board considers learning through play to be ‚Äúessential‚Äù. Learning to read isn‚Äôt a priority at kindergarten age (5 and 6 in Finland). If a child shows an interest in reading, they will be encouraged, but there are no targets to meet. No boxes for teachers to tick or forms to fill in. We‚Äôre not saying we‚Äôre doing it wrong here, but perhaps we aren‚Äôt being playful or joyful enough about reading? Stories are funny, silly, exciting, adventurous, scary, surprising, touching and doorways to different worlds. Only if we read them with joy can we pass on the joy of reading to the next generation. Maybe we’re using the wrong language? Perhaps it‚Äôs time to lose the slightly stiff and British-sounding ‚Äòreading for pleasure‚Äô and start a ‚Äòreading for joy‚Äô revolution? What do you think? Let’s see if we can improve literacy and move up those ranks!